If you thought the government giving the go-ahead for the third runway at London Heathrow was the final say on the matter before construction would start, then you'll be sorely disappointed. Five London boroughs are joining forces to call for a judicial review of the government's approval of the scheme that would greatly increase the airports already maxed-out capacity. Hammersmith, Fulham, Wandsworth, Hillingdon and Richmond and the leading voices in the review demands. They've already advised the Department for Transport (DfT) of their intention to take legal action. Plus they are supported by the council for neighbouring Windsor & Maidenhead, the constituency of one Mrs T May! They are challenging the decision on a number of grounds, including climate impact, noise pollution, access and air quality. They say the government has deliberately misunderstood and misapplied air quality law. London's Labour Mayor Sadiq Khan sees political headway for himself by aligning himself with the campaign to force the government to back down. “Heathrow expansion will result in hundreds of thousands of people being blighted by intolerable noise levels and worsening air quality in an area where pollution is already well above legal levels. 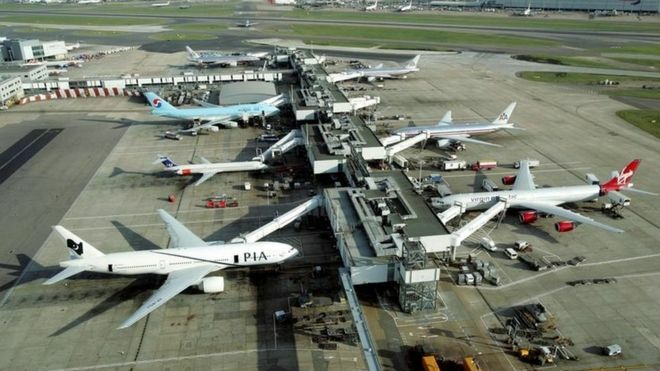 The government has failed to demonstrate how it will fund the billions of pounds needed to improve road and rail connections to the airport.” Sadiq Khan said. Wandsworth council have confirmed it is setting aside £80,000 for legal fees to fight the government, which means taking that money away from front line services. The DfT pledged to defend the decision on the Heathrow Expansion against any and all legal challenges robustly.